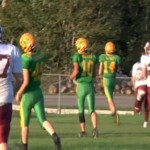 Kingsley slipped past McBain 24-20 on Thursday in coach Tim Wooer’s return to Kingsley. 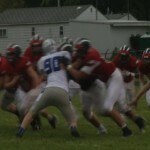 A strong second-half performance lifted Reed City to a 34-13 win over Montague on Friday. 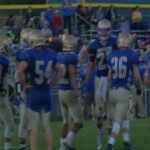 Traverse City Central moved to 2-0 on the year with a 35-7 win over Marquette on Thursday. 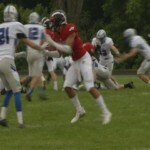 Traverse City St. Francis cruised to a 42-3 win over Marquette on Friday. 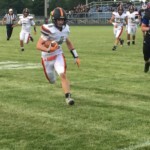 Lake City held a late McBain rally for a 14-12 win on Friday to retain the Gridiron Traveler Trophy in our Overtime on the Road matchup. 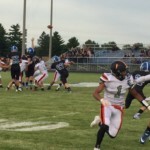 Behind a 28-point halftime lead, Lake City improved to 2-0 with a 49-0 win over Lakeview on Thursday. 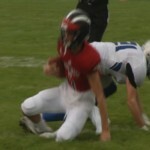 Traverse City St. Francis rolled to a 50-12 non-conference win over Glen Lake on Friday. 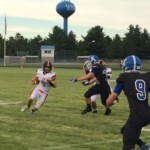 Elk Rapids stayed unbeaten with a 52-6 non-conference win over Kalkaska on Friday. 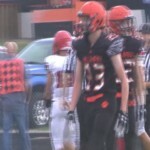 Harbor Springs ran its record to 3-0 with a 37-28 win over Newberry on Friday. 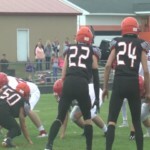 Rogers City moved to 2-0 on the young season with a 24-8 win over Tawas on Thursday. 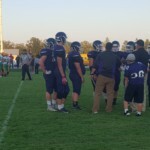 Engadine improved to 2-1 with a 55-0 shutout win over North Dickinson on Friday. 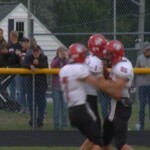 Onekama opened its season with a 30-0 non-conference win over Marion on Friday. 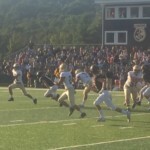 Hillman kicked off its first season of 8-player football with a 34-27 win over Mt. 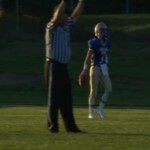 Pleasant Sacred Heart on Friday. 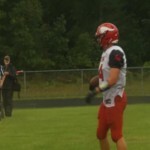 Aaron Powers tallied five touchdowns and Onekama rolled to a 53-6 win over defending state champion Central Lake in our ‘Overtime on the Road’ matchup Thursday. 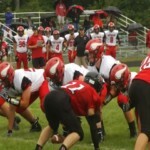 Suttons Bay opened its first campaign under coach Garrick Opie with a dominant 62-0 win over Bear Lake on Friday. 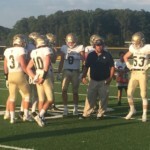 Pickford outscored defending state champion Crystal Falls Forest Park 22-0 in the third quarter en route to a 38-20 win on Friday. 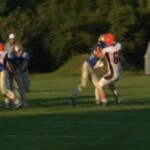 Pickford opened Great Lakes 8 Conference play with a big 52-7 win over Engadine on Thursday. 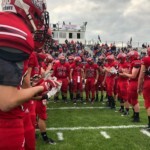 The Michigan Associated Press has released its first high school football state poll of the 2018 season. 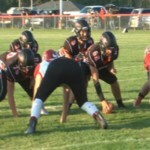 Twenty area schools are ranked, including Pickford, which tops the 8-Player poll. Others receiving votes: Davison (3-0) 4. 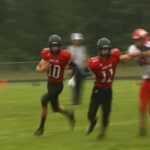 East Kentwood (2-1) 3. Lapeer (3-0) 3. 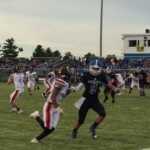 Utica Eisenhower (1-2) 3. Saline (2-1) 2. 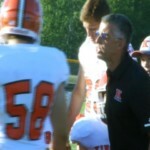 Others receiving votes: Birmingham Seaholm (3-0) 4. Warren Mott (2-1) 4. Wyandotte Roosevelt (2-1) 3. Grand Rapids Forest Hills Central (1-2) 3. Livonia Franklin (2-1) 2. 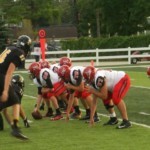 Port Huron Northern (2-1) 2. 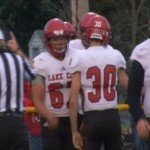 Others receiving votes: Battle Creek Central (3-0) 6. 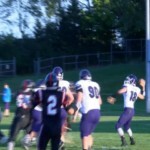 Gaylord (3-0) 6. Zeeland East (2-1) 5. St. Joseph (2-1)2. 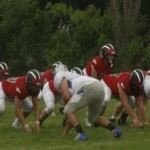 Warren Woods Tower (3-0) 2. 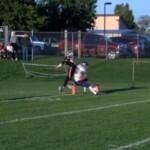 Cedar Springs (2-1) 1. Chelsea (3-0) 1. 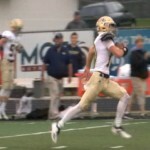 Others receiving votes: Grand Rapids South Christian (2-1) 5. Bloomfield Hills Cranbrook-Kingswood (2-1) 5. 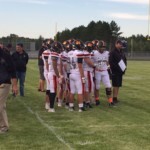 Escanaba (2-1) 3. Whitehall (3-0) 3. Goodrich (2-1) 1. Others receiving votes: Dundee (3-0) 5. 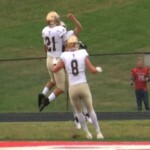 Hillsdale (3-0) 5. Clare (3-0) 4. 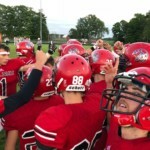 Frankenmuth (2-1) 2. 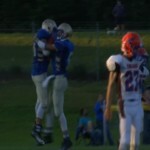 Others receiving votes: Elk Rapids (3-0) 7. Millington (2-1) 3. 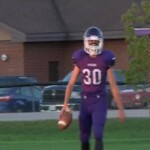 Delton Kellogg (3-0) 2. Others receiving votes: Hartford (3-0) 10. 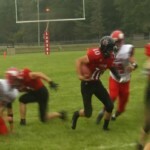 Manton (3-0) 7. 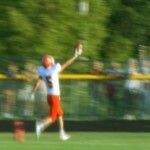 Harbor Springs (3-0) 2. 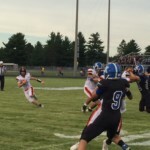 Others receiving votes: Frankfort (2-1) 6. 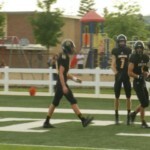 Kalamazoo Christian (2-1) 4. Waterford Our Lady (2-1) 3. Norway (2-1) 1. 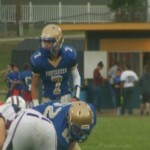 Others receiving votes: Camden-Frontier (3-0) 16. 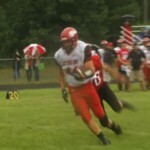 Suttons Bay (4-0) 15. 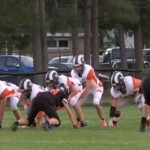 Morrice (3-0) 14. Posen (3-0) 9. Rapid River (2-1) 8. Engadine (2-1) 8. Kingston (3-0) 7. Hillman 6. 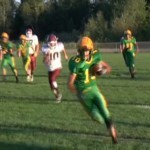 Au Gres-Sims (3-0) 6.